People have never focused on SQL injection much, They have no clue that its the most common method which big companies are vulnerable to. 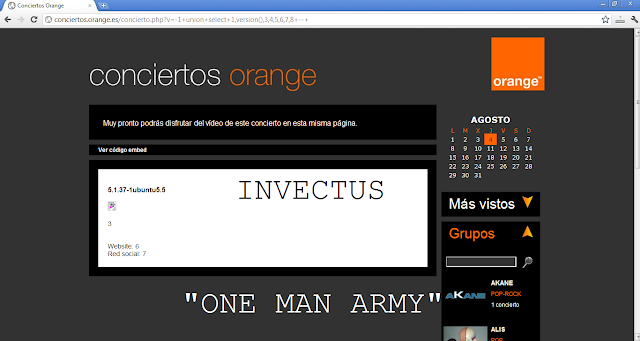 Hacker with name "Invectus" , Found the SQL injection Vulnerability in Orange.es. Vulnerability has been exposed via Social Networks.